New evidence from the Spitzer Space Telescope suggests that there is a “storm” of comets surrounding a nearby star, Eta Corvi, which is about 60 light-years from Earth. 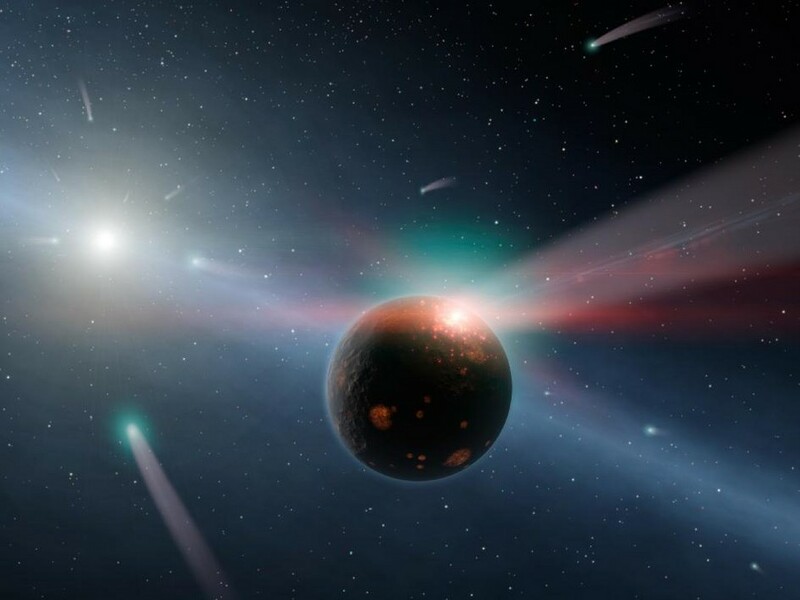 It is thought to be similar to the “Late Heavy Bombardment” in our own solar system several billion years ago, when comets rained down on the planets and are believed to have brought water and organics to the early Earth. The same thing may be happening now at Eta Corvi, if there are any planets there. “We believe we have direct evidence for an ongoing Late Heavy Bombardment in the nearby star system Eta Corvi, occurring about the same time as in our solar system,” said Carey Lisse, senior research scientist at the Johns Hopkins University Applied Physics Laboratory in Laurel, Md., and lead author of a paper detailing the findings. “We think the Eta Corvi system should be studied in detail to learn more about the rain of impacting comets and other objects that may have started life on our own planet,” Lisse said. The makeup of this comet cloud closely resembles comets in our solar system, and suggest that a giant comet may have been obliterated, perhaps when it collided with a planet. Water ice, organics and rock have all been identified in the comet cloud. There is also an even larger, colder ring of dust farther out from Eta Corvi, which resembles the Kuiper Belt of comets and other debris in our solar system, left over from the solar system’s formation. 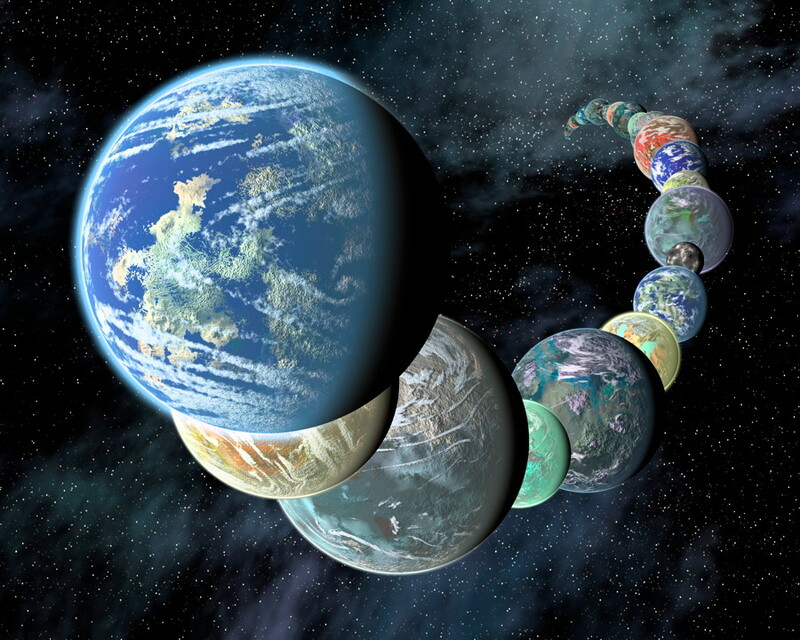 All of these similarities reinforce the idea that the way in which our solar system formed is much like how other older ones formed in the past, and younger ones are still forming today, as a common process in the universe.